Would be nice to have all of this confirmed definitively before the game is released. The compatibility of arcade sticks is strange one to have to worry about. Either way I should be getting this soon after or on launch. Anyone got a link to the cheapest place to buy it on PC? I'm pretty hyped for the launch now. I doubt I'll be any good at the game, but I'm looking forward to playing online, plus the gradual roll out of other modes etc. yup, i'm really excited to get my hands on it now, having seen so much footage and not played any of the betas. there seems to be a bit of a backlash around now, with people moaning about barebones launch modes. but i quite like the idea of it slowly expanding over the next few months, and having something new to try later. no pressure to rush though everything. as long as the online works ok tomorrow i'll be well happy. I've been surprised by the reviews for the game. I expected it to get penalised more due to the initial lack of modes but I was glad that reviewers chose to highlight how excellent the core fighting mechanics are (It feels like the best fighting game I've played in a while). I'll have my game tomorrow and the best part of 4 days to play it. My PSN tag is gouki16 if anyone wants to have a few matches. 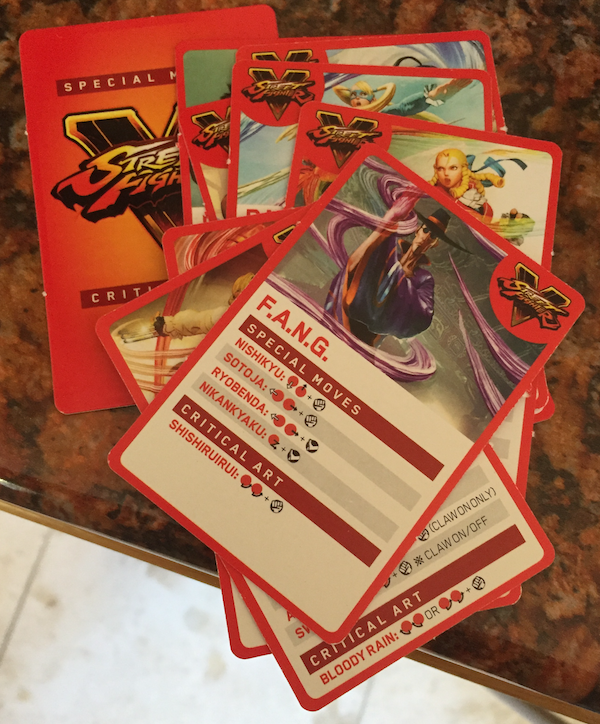 I think you end up getting a SF5 name, right? Might be best to post up what you're using and so we can play independent of format. Edit: checked and it's midnight tonight! I might be up but I might not. Edited by uiruki, 15 February 2016 - 07:27 PM. yeah whenever it goes up there's gonna be a rush of people trying to claim their names. I cant stay up, ready to hit the hay already. I cant play till after work tomorrow probably. well maybe i cant sneak a couple of rounds in in the morning. I'm so crap at these games. Servers seemed busted earlier but I managed to register as Baltordian. this was a bit ropey this morning, but its been excellent for me all afternoon. i just leave it sat on the main menu with fight requests on, and its been pretty non stop. it occasionally wont connect after a match to record the results, but i dont think thats a major problem at this stage. i also hadnt given the net code any thought at all till i just saw somebody else complaining about the rollback stuff. every match i've played so far has been fine. i'm rocking a pretty terrible cammy at the moment. using AvexFuddle, same as psn.